Objective: To identify the effects of agro-industrialization and changes in international production and consumption on the physical environment. Our supermarket shelves groan with fresh food from around the world. Farmer Jimmy Doherty explores the global logistics that bring these crops to a shop near you. He meets the people who grow our food and make this global conveyor belt work. He uncovers the science and technology that keeps food fresh for weeks or months without decay. Jimmy asks why grow Scottish potatoes in the Egyptian desert? How can charcoal stop green beans from dehydration in Kenya? How does pineapple sliced and diced in Ghana stay fresh on the long journey from field to plate? Does it make any kind of sense to transport fresh fruit and vegetables for thousands of miles by air and by sea, just so we can eat our favourite foods all year long? Read* the following Guardian article on the cut flower industry in Kenya. In your book / on Word, create a table with two columns. Copy the headline of the article into the left hand column and then add in the negative environmental impacts that are illustrated. Turn to page 92 of the Global Interactions textbook and read through the seven pages to page 99. Task: Complete Activities 1-8 fully on page 99. Don't forget to update your case study booklets with the key revision points. Point of Interest - China's growing interest in Africa. Read this news article from May 2012. Objective: To examine the concept of food miles and the environmental consequences of increasing volumes of air freight. Food miles refer to the distance that food travels from where it is produced to where it is consumed. The term was introduced in London in the 1990's by a professor at London City University when discussing sustainable agriculture. It is a way of indicating the environmental impact of food we consume. The global food industry has a massive impact on transport, particularly by road and air. The food system has now become almost totally reliant on crude oil. This means that food supplies are vulnerable and can be inefficient and unsustainable. Task 1 - Turn to page 102 in the Global Interactions textbook and study the information carefully on Food Miles. Complete activities 1-7 on page 105. For question 4, you will need to make a copy of the economies of scale diagram. 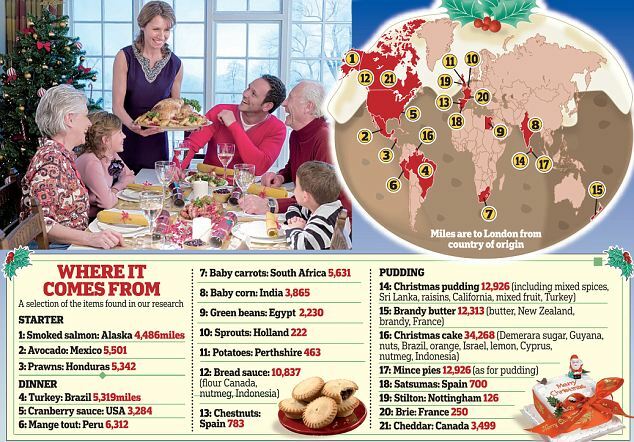 Task 2 - The montage below uses a traditional British Christmas dinner as a focal point to highlight food miles. Add up the total distances to get a total in miles and then X 1.666 to get the distance in KM! What are your thoughts on this? Perhaps you could use this site for one day to calculate the food miles of the food that you consume...?! The Electronic Afterlife from Gizmogul on Vimeo. Objective: To be able to discuss the reasons for and consequences of the relocation of polluting industries and waste disposal to countries with weaker environmental controls and safety regulations. Using an A3 version of the essay planning tool underneath together with the information from geographyalltheway.com, plan out your response to this 15 mark question carefully including as much case study data as possible. Diigo - IB Geography bookmarks for this section of the IB Global Interactions unit. "a big toilet that never flushes"
Objective: To describe a little heard of, though significant major pollution event, affecting more than one country and analyse the consequences of and responses to this event. Useful resources to get your started. b. Get a quick overview here and watch the Planet 100 YouTube video below. 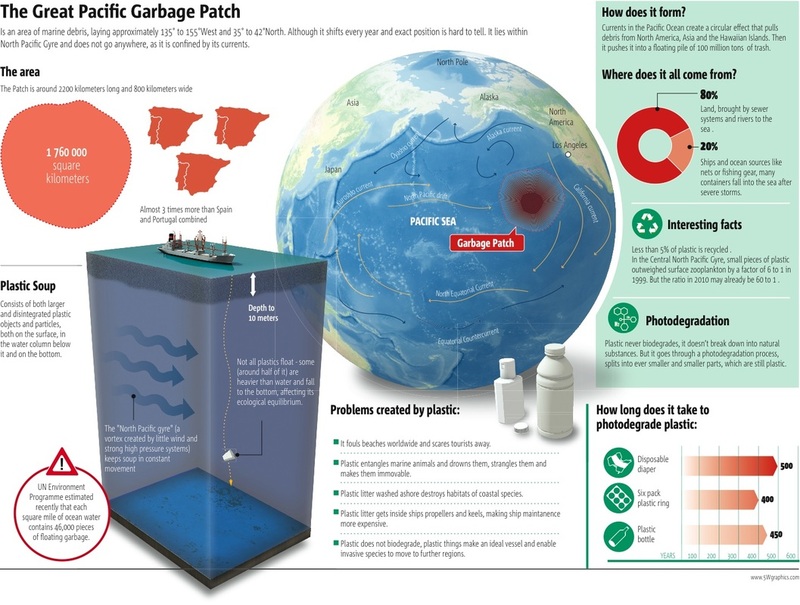 d. Play with the "Eastern Garbage Patch" interactive graphic on the Greenpeace site here. Click on 'Journey of the Trash' to see where it originates from. Click here to access a great interactive tool that allows you to see the spatial distribution of the current global garbage patches. ii. How many gyres are there and name the top three in terms of size? iii. Create an annotated map (screen shot with references) to show the locations of these Gyres and the currents that form them. Click on 'Source View' in the top right hand corner. iv. Which location contributes the largest amount of plastic ocean pollution? Where does most of this waste end up? v. Where does the plastic waste from your home country (continent) end up? i. Find out what the human and physical causes of this garbage accumulation are and find out why this garbage seems to stay in situ. You will need to copy and refer to the diagram to the right hand side/Greenpeace interactive resource. ii. This event has happened over a long time period of time. Research how long plastics have been used for and link this in to population and industrial pressures on coastal areas in recent decades. Write a summary of what you find. i. What are the consequences to the environment and aquatic life in the oceans? 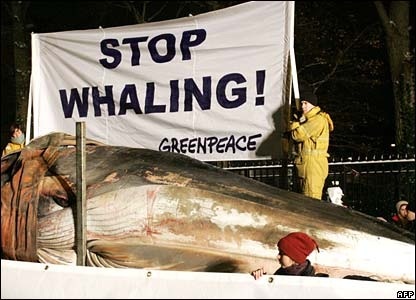 Refer back to the Greenpeace article in the 'Background' section at the top of this page. ii. Read this article from the Daily Mail (I know, sorry!) and summarise the effects of the trans-boundary pollution of litter on the island on the coastline of Australia. i. You will have found out that no one nation will take full responsibility for this international pollution event. There are measures underway to tackle the problem. Click here to read about the progress being made. ii. Summarise the main points from the article as well as any other information you have uncovered during your research. *Use the essay planning tool in the lesson above to help you. Further research at bedtime: Listen to this excellent BBC Radio 4 programme on the impacts and spread of these ocean Gyres around the world. Watch the TED Talks 7:21 video and the Al Jazeera Riz Khan programme on the right hand side. Thanks to Akaash - Y13 student at IST for this find. Task 1 - Download and complete the activities on this worksheet - Reasons for increased environmental awareness. 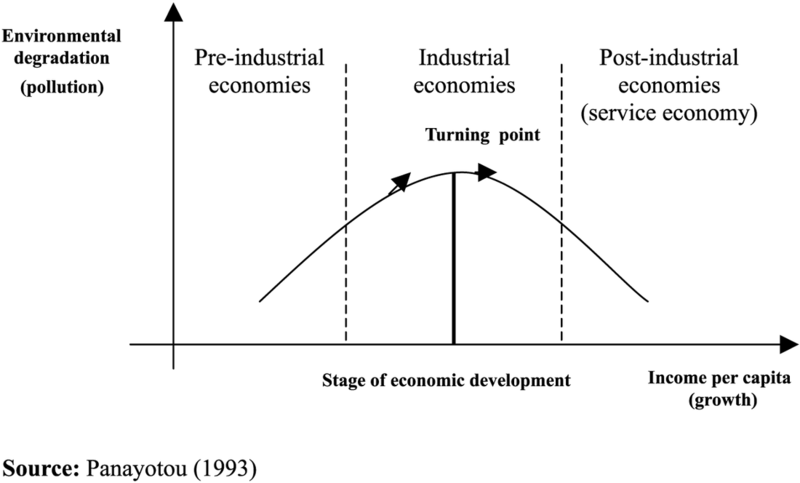 Task 2 - Study the Kuznet Curve to the right hand side. i. Make a copy of the model and write an explanation of no more than 100 words to accompany it. You might want to use the Wikipedia entry and information from Task 1 above. II. Annotate on the position of China, India, France, Brazil & Australia. Task 3 - Download this fact sheet that details two famous organisations, Greenpeace & Friends of the Earth. This sub-unit of work is completed using the GATW site but also has links with Anti-Globalization movements and responses to loss of biodiversity in the core section. Civil society: An organisation or movement that works in the area between the household, private sector and state to negotiate matters of public concern e.g. NGOs, community groups, academic institutions and trade unions. NGO: Non-governmental organisations are organisations that operate independently from any government or government organisation. NPO: Non-profit organisations do not aim to make a profit that is taken from the company. Instead any surpluses made a re reinvested in order to meet their stated goals. Philanthropist: A person who donates time and/or money for the public good. Charitable organisation: A NPO that focuses on philanthropic purposes or aims. Starter: Take a look at each of the Google Street Views above. You have 30 seconds to try to deduce where each location is? Use this worksheet. Why might this be difficult for you? Are there any clues? Objective: To be able to explain the evolution of uniform urban landscapes; the effects of common commercial activity, structures, styles of construction and infrastructure. Homogenisation: The process of people, products and places becoming the same. Starter: Take a good look at the three images on the right hand side. Each one is taken from approximately the same spot in 1990, 2003 & 2007.
i. Where do you think this place is? i. What evidence did you consider? Click here to see the changes animated. ​structures & styles of construction and infrastructure. Use the three images to the right as your stating point and then this excellent (images, not publication!) piece from the Daily Mail to choose more examples of how the landscape has been homogenized and the culture diluted. More than just oil wealth? 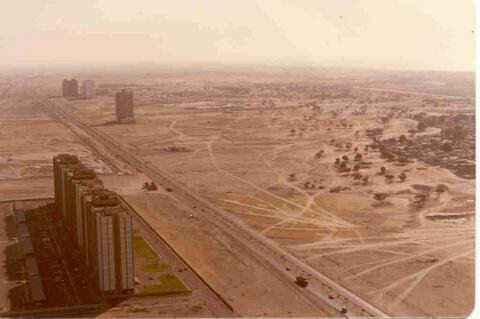 - Click here to research the reasons behind the change that has taken place over the last 30 years in Dubai. Include a summary of these reasons for growth on your display. Culture & Activities - Download and read through the document on the right hand side that gives you information on Dubai in 2013. 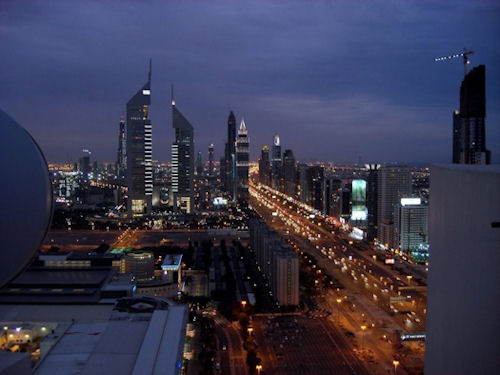 Outline the main ways that common commercial activity & infrastructure is prevalent in Dubai. Money Talks! 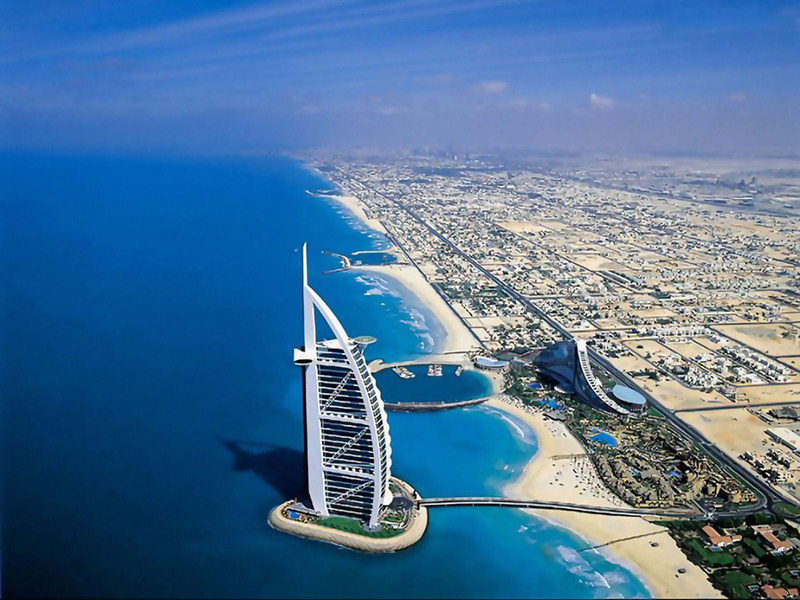 - Research the Burj-al-Arab hotel in Dubai and import information into your display on its structure and style of construction, prices, location etc. You should watch the first three minutes of the video to the right to get a 'feel' for the place. Take a tour - Google Street View. 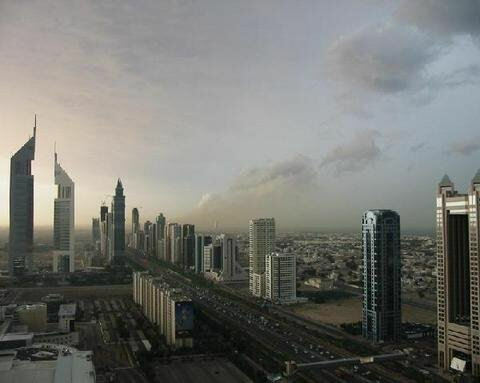 Find your way to one of the main commercial areas in down town Dubai. Travel up and down a street of your choice and look very carefully (up and down) and what is going on around you. Stop somewhere that sums up 'homogenization'. Reminder: To be able to explain the evolution of uniform urban landscapes; the effects of common commercial activity, structures, styles of construction and infrastructure.